Volunteers may be available to mentor youth on a 1 on 1 basis. Nick came into the museum to learn more about electronics. We gave him an extensive tour and he was enthusiastic about the technology. He wanted to build something using a CRT. Phil is one of our regular volunteers and he he took on the task of mentoring Nick. 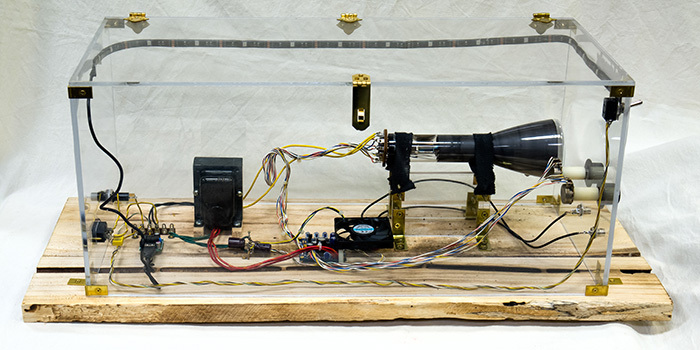 Together they built an X-Y oscilloscope using a small CRT and a PCB they found on the internet. 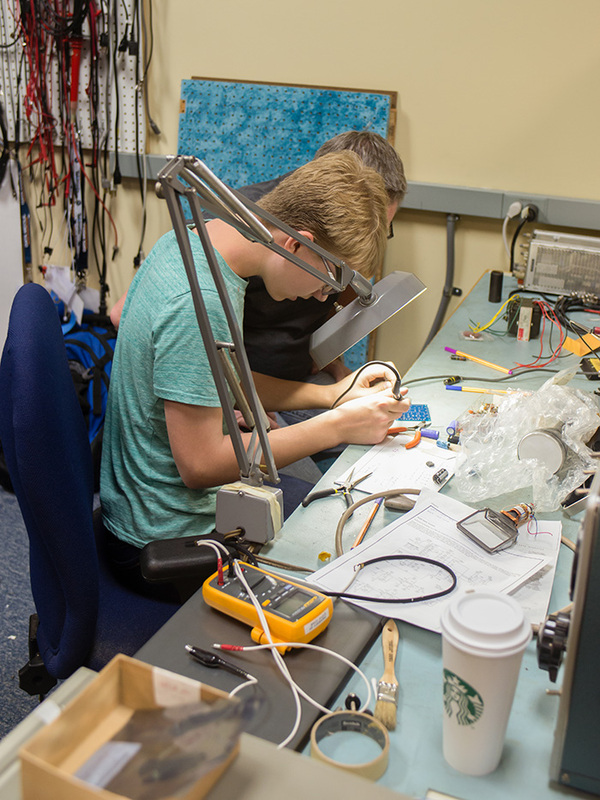 In this session Phil is mentoring Nick on learning to solder before they assemble the PCB. Their finished oscilloscope is in a plexiglass display case to highlight the circuitry and construction. Nick also added a LED striplight around the top. Tektronix has a page on their website devoted to highlighting Stories From Engineers. 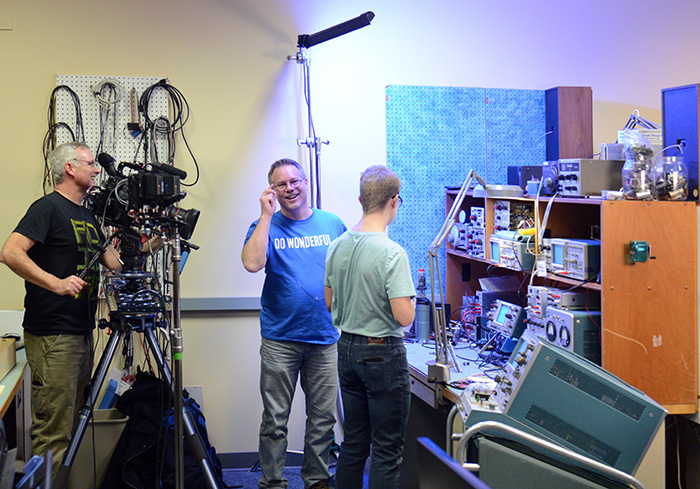 They added both Nick's story of building the oscilloscope and Phil's story of mentoring. Here they are doing the video shoot at the museum. Nick was invited to a Tektronix worldwide sales meeting to share his experience. 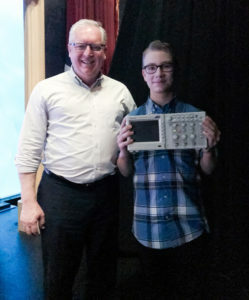 There Tektronix presented him with his own brand new oscilloscope. Here he is pictured with President Pat Byrne and his new oscilloscope. Volunteers may be available to help mentor youth projects. We can't guarantee someone will be available or it will turn out as great as this situation did, but you never know until you ask. Keep us in mind for helping with a youth electronics project.